I appreciate your willingness to extend the deadline for the photos and descriptions. If I had returned directly from Boston, there would have been time to send you a floppy disk with everything. If you click on the following links, when the photos appear, right click your mouse and save them on your hard-drive or a floppy. 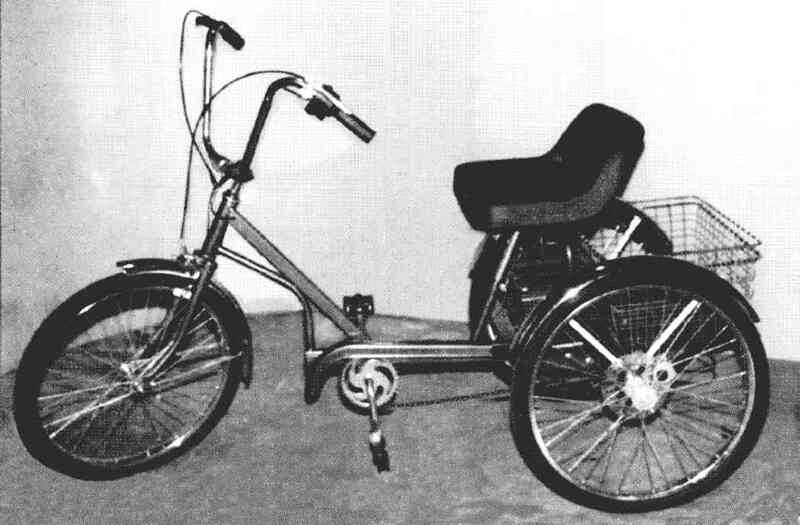 The only image that may appear a bit strange is the "New Trike", which was sent to me from Asia in an unusual half-tone format. I was unable to get rid of the moiré patterns, but they aren't too noticeable when the photo is viewed at 100%. I should have some better color photos of the three basic products by the time you put up the web site. The corresponding 45 word descriptions follow the links. I hope this is what you had in mind, but could change the wording easily. P.S. My recollection is '98 when the "Charger" won your award, but it may have been '97. If so, please correct this in # 1. description below. 1. 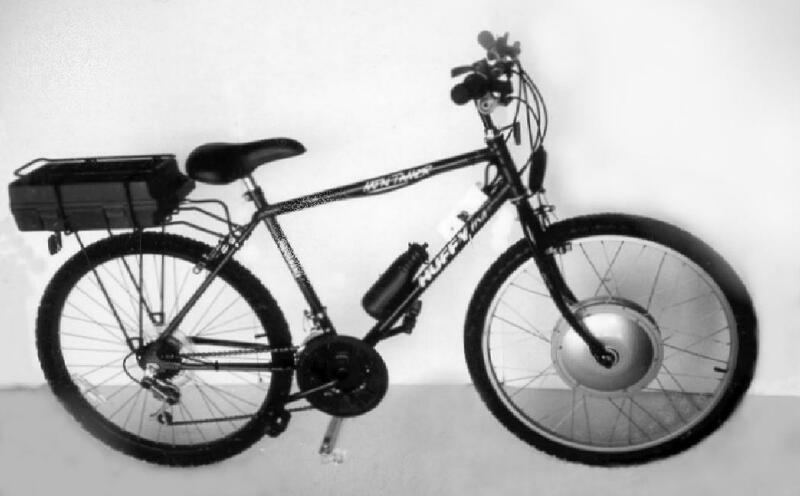 First place Tour de Sol '98 winner (one person vehicle), Popular Science also afirmed: "...the "Charger" (TM) powers electric assist bicycles to a new level of excellence." 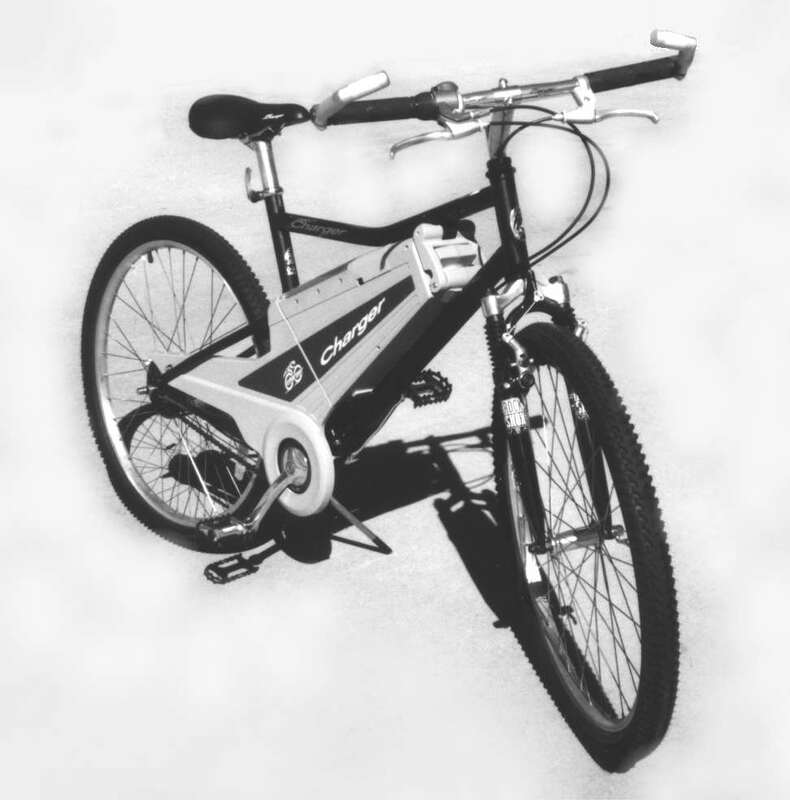 Anyone 16 years or older (5'3" to 6'3" tall) can get this top quality, 1/2 hp "bionic bike" from electroportal.com--at less than half the original cost. 2. Quieter than the "E-Bike" (TM), Electroportal's 48V 200w front wheel hub motor kits for bikes and trikes are an "e-moped" alternative. The power has been boosted from 36V to better suit the average American's needs. An 800w version for hills and heavier payloads will be out soon, but requires a heavier battery pack and may not be necessary for flat-landers. 3. The latest Electroportal trike combines American electrical and mechanical ingenuity--for superior handling, braking, and overall functionality. Offered in 350, 800, and 1500w models (both 24 and 36V, pedal and non-pedal), anhydrous amonia fuel cell versions are now being tested in Thailand.